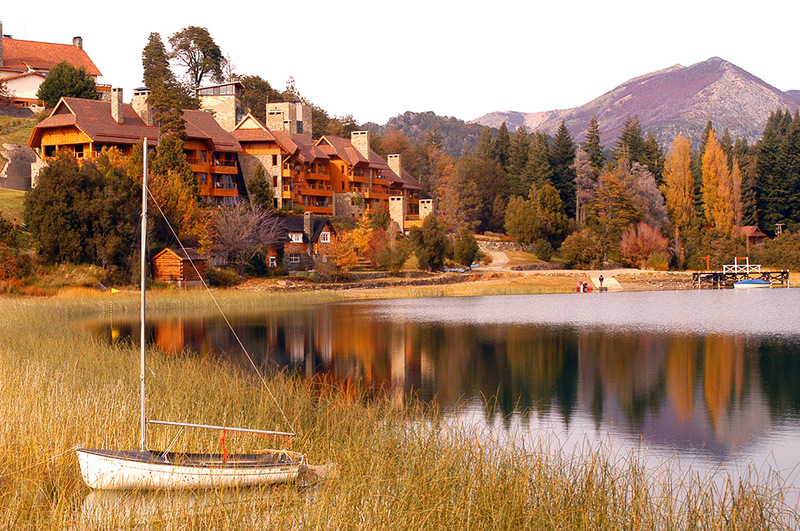 World Kids is pleased to feature today Llao Llao, one of the best family resorts in Argentina. 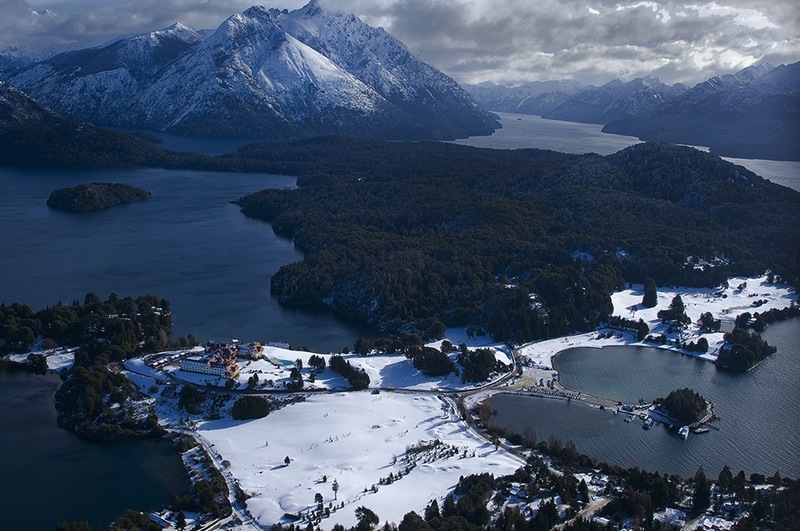 Llao Llao is located on one of the lower mountains within the Nahuel Huapi National Park – Argentine Patagonia – between the Nahuel Huapi and Moreno lakes, and framed by Mt. López, Mt. Capilla & Mt. Tronador. The Hotel has a 15-hectare park, including the 18-hole golf course, the marina, beach, solarium, heated indoor and outdoor infinity edge swimming-pools, Spa and Health club with sauna, Fitness Center and other leisure activities. Bariloche is one of the most intense and incredible places in Argentina with stunning views of its lakes, streams, rivers and mountains. Each season brings different color: summer with long sunny days, the colors of the rainbow during the fall and spring and its unique white winter snows. From June to October, Bariloche is one of the greatest tourist attractions in the country, offering visitors the chance to practise skiing, snowboarding, Nordic skiing, heli-skiing, sleigh and quad rides. But what really makes special this resort is their incredible offer of activities for kids, teenagers and families. Recreational activities are not only associated to Ski or the winter season. 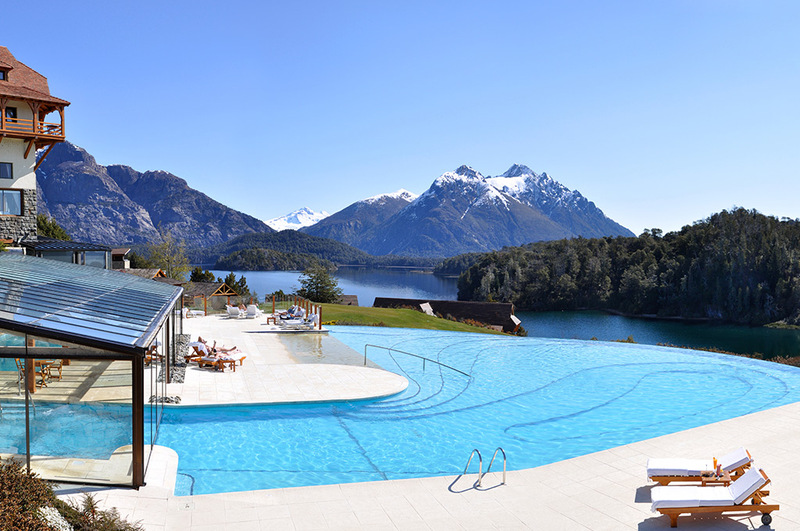 The Llao Llao Hotel boasts a unique infrastructure to provide all kinds of activities depending on the season and with an integrative approach for the whole family. 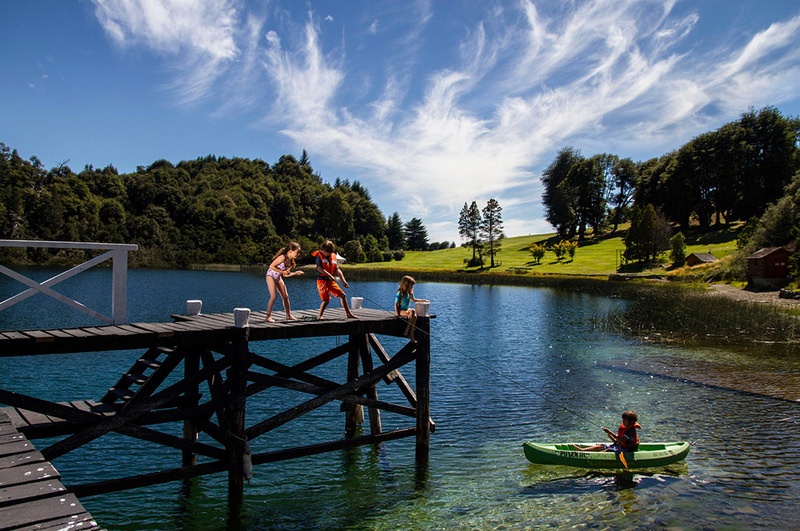 Kids from3 to 12 can enjoy the Nahuelito’s club with different educational and sport activities, both indoor and outdoor and all free of charge: pool games, canoeing, forest games, workshops, cooking and crafts. Every day in the Nahuelito’s Kids Club activities include water games, rappeling, canoping, puppets and crafts, together with a tasty snack in the afternoon. Kids even have their own Spa carefully designed by specialists for children from 4 to 12 years old. Teenagers have their own space and club with many different proposed activities such as bike tours, rappel, archery, stand up paddle, kayaking, night trekking and bonfire nights. The hotel has a playroom with table tennis, pool tables, foosball tables, card game tables, board games and video games. 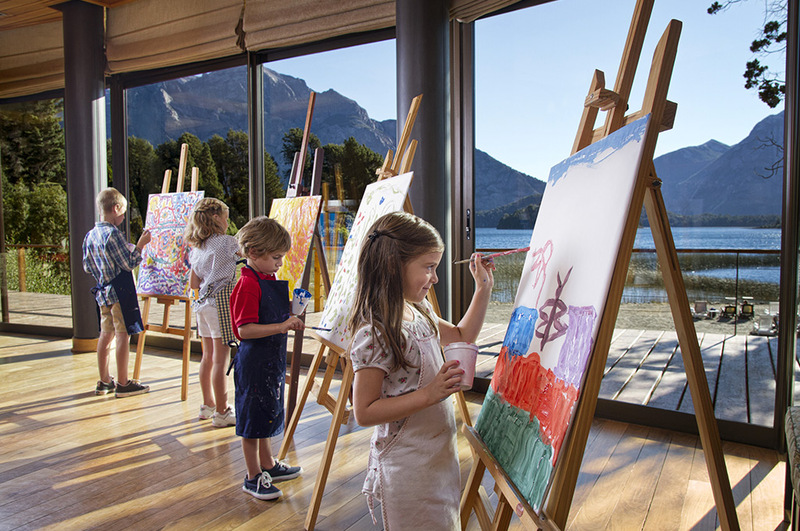 Llao Llao resort is an oasis for the whole family.